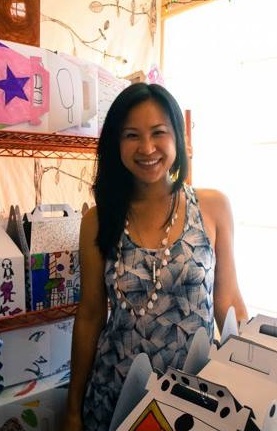 When Sophia Chang started a small organic ice cream business about six years ago, she was shocked that she couldn't find an affordable commercial kitchen to make her batches for the farmers market. 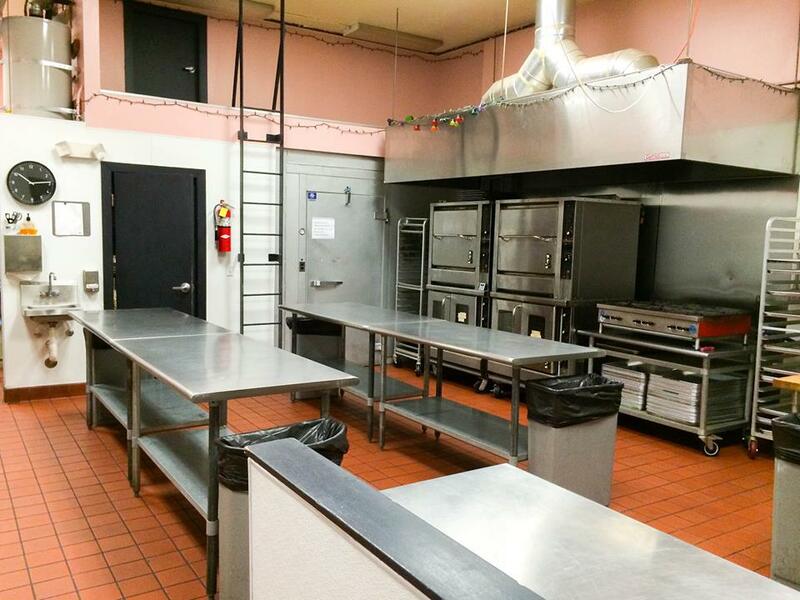 All the commercial kitchens were about $40/hour and required minimums of somewhere around 60 hours/month. At the time, Chang was staying at her mom's house and using the kitchen, which she acknowledges you're not supposed to do under commercial food regulations. The whole thing "was not a good set-up," she said. When she had to shut down abruptly after eight months, she just kept thinking about how hard it was to get off the ground as a food business. "I kept thinking why aren't there kitchens that will help businesses," she said. She thought about it when she went to work as the production manager for Teacake Bake Shop, running their online shipping warehouse. And, she thought about it some more when Teacake downsized and the owner asked her if she'd like to take over the space, just off Broadway in the Lake Merritt-Uptown neighborhood of Oakland. 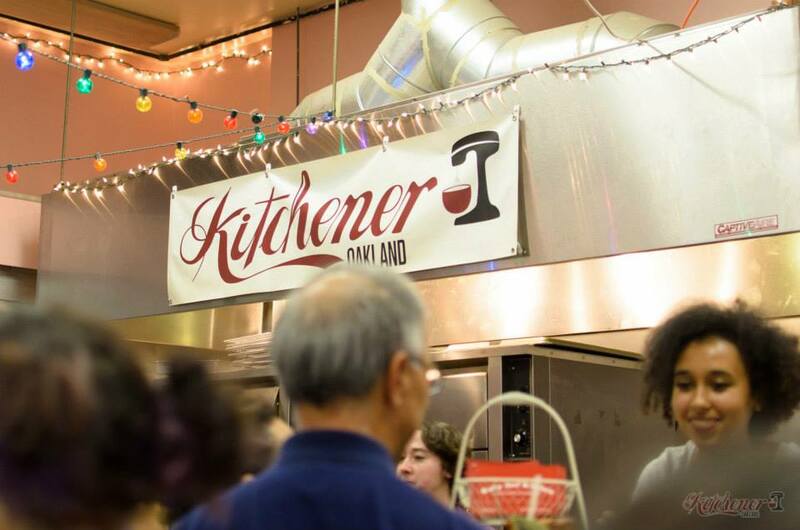 That was the birth of Kitchener Oakland, a commercial community kitchen that provides kitchen space for small local food businesses at cheaper rates -- $13-20/hour instead of $25-40/hour. Costs are kept low by having the kitchen shared among up to four different chefs, bakers or juicers at one time. But, Kitchener also goes a bit further: the space hosts monthly pop-up markets to allow the food-makers to sell their goods and puts on workshops or seminars to help the food-makers learn the business and, hopefully, move into a permanent location. There are 36 different artisans using Kitchener currently and about 50-55 have been in the space over the year-and-a-half since it opened in June 2012. Six of those have been able to move into their own kitchens. Now, the next step for Chang is turning the community kitchen into a community pop-up take-out window too -- or two windows, to be exact. The newest plan started when the empanada guy wanted to sell empanadas out of the two windows in Chang's office that face the street. Kiosk food stands are common in Argentina and he wanted to do the same here. The windows look just like take-out windows, except that they're industrial office windows with bars over them. At first, Chang didn't want to have her office turned into a take-out food stand. But, she came around. The only problem was "it wouldn't have been fair if it was just him," she said. 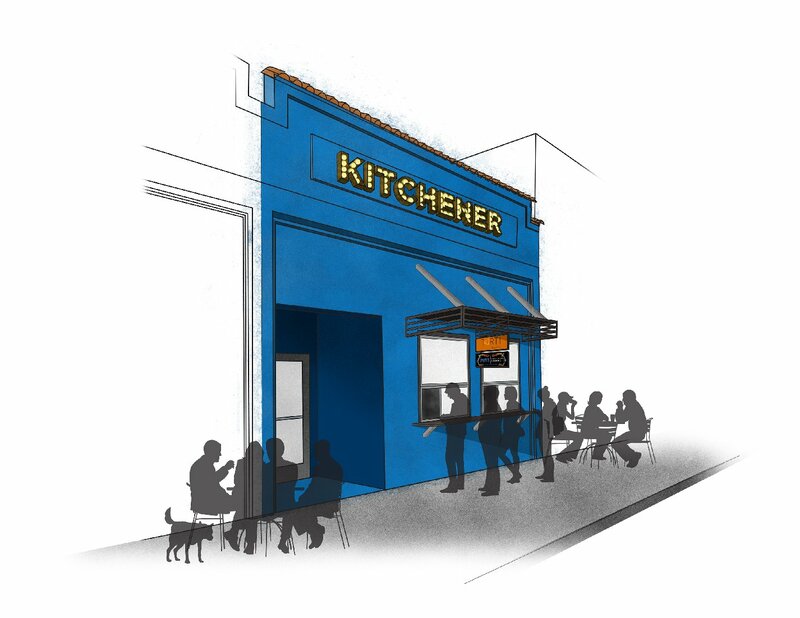 So, Kitchener is instead planning to open two windows that will each have two food-makers selling out of them. The food businesses that use the kitchen will all have a chance to sell and Chang is eager to try and mix in other pop-ups and Oakland food-makers, like the popular local grilled cheese guy. Food-makers will pay either $5/hour to share the window with one other vendor or $10/hour to have it for themselves. But, most of the vendors are excited about sharing, said Chang, since there can be some interesting and fun combinations. To build out of the windows will require about $25,000. Chang plans to add counters, awnings, a sign to advertise who is serving up food, and exterior paint. There will also be extensive work inside to add equipment, plumbing and pull the electrical from the kitchen to the windows. To raise that money, Chang turned to Kickstarter. The Kickstarter is still open for funding until tomorrow, but $28,000 has already been raised. And, no wonder. The rewards for donations are mostly food credits to use once the windows open. A $100 pledge could get you $115 in food. Chang says Kitchener then pays all those credits to the vendors when they're redeemed, but it was necessary to have the money upfront in order to get the windows up and running. "We consider it a loan," said Chang. The plans have already been approved by the Oakland Health Department and Chang simply has to get final permits from the planning department. She's also made a request to create a parklet with tables and chairs so that people can enjoy their food next to the windows. The windows, to be called The Kitchener Snack Bar, could be open as soon as April. Once they are, Kitchener will advertise the schedule of who is serving up food on its website as well as on the marquee in front. Ultimately, there will be regular hours (with late night hours on weekends) and, ideally, a regular rotation of certain food-makers on certain days. 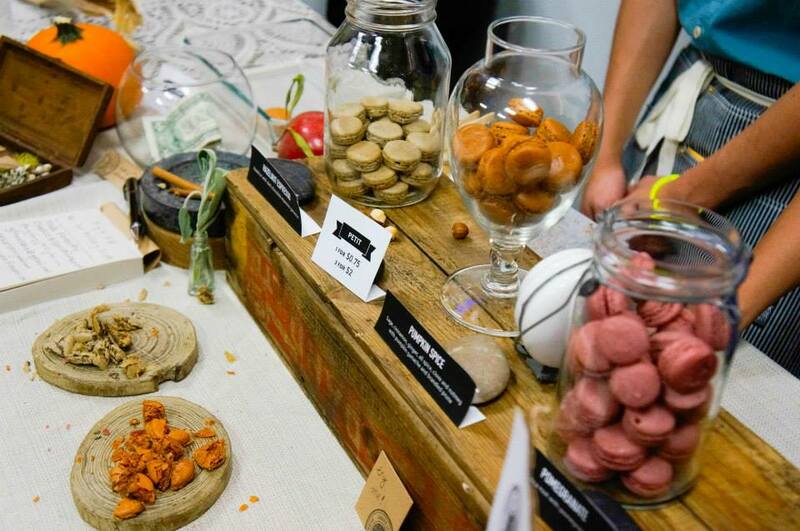 That way you know when to get your empanadas and when to load upon cupcakes! 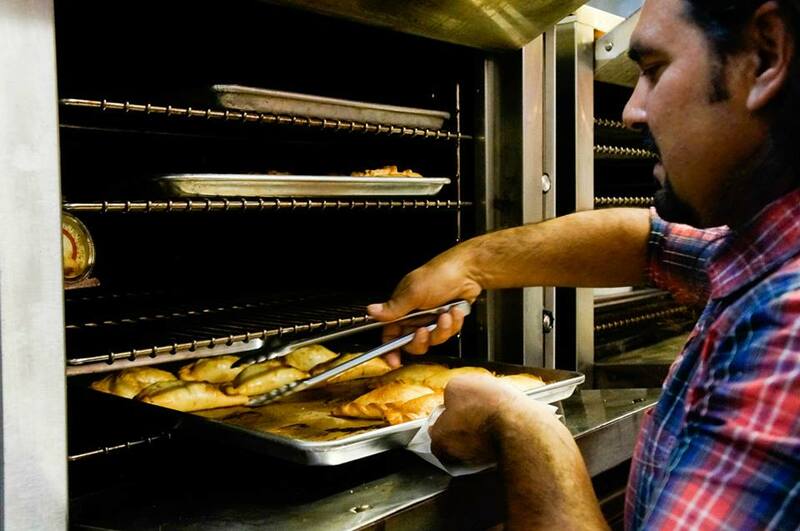 While there are a handful of incubator kitchens around the Bay Area like La Cocina in San Francisco and the Renaissance Center in Marin County and there are certainly a wealth of pop-ups and food truck markets, the creation of rotating take-out in a brick-and-mortar location with different fresh local food may be a new (and delicious) take on creating a way for the wealth of Bay Area food makers to get their goods to our mouths.